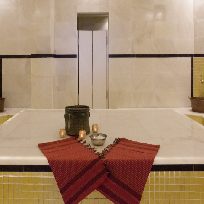 Turkish Bath (Hamam) with Peeling & Foammassage 20 min. 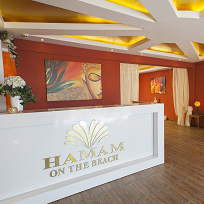 Turkish Bath (Hamam) & Foam Massage 20 min. Fullbody Aloe Vera Massage 40 min. or Fullbody Aroma Therapy 40 min. Fullbody Mix Therapy 60 min.